Toyota’s new “Dynamic Force” high-compression engine. Compression ratio, admittedly, is more complicated than it seems at first. It doesn’t help that it’s one of those terms you hear getting thrown around at car meets and in press releases without much serious explanation. It’s one of those things that you mostly pretend to understand while trying to impress that trapeze artist you met at the circus last weekend. We know that high compression is good, and that low compression is bad. We know that Mazda’s new Skyactiv-X “Holy Grail” engine is high compression, along with Infiniti’s “diesel slayer” and Toyota’s “Dynamic Force” series that all advertise more power along with more efficiency. We live in an age where engineers can’t just give an engine more power by making it bigger. Changing an engine’s compression ratio is becoming how it’s done. Now picture a cylinder in your head. The piston moves up and down inside that cylinder. When the piston is at the lowest point, that’s called Bottom Dead Center. That’s where the cylinder volume is greatest. When the piston is at the highest point within the cylinder, that’s called Top Dead Center, and that’s where cylinder volume is smallest. The comparison of these two volumes is where your ratio comes from. If you are a visual learner like I am, you’ll like this GIF I made showing how a four-stroke engine works. See how the piston moves up during that compression stroke? That’s all the air and fuel getting compressed in the cylinder. If an engine has a high compression ratio, it means that a given volume of air and fuel in the cylinder is being squeezed into a much smaller space than an engine with a lower compression ratio. And now for an example with simple math, my favorite kind. Pretend you have an engine whose cylinder and combustion chamber volume is 10 cc when the piston is at bottom dead center. 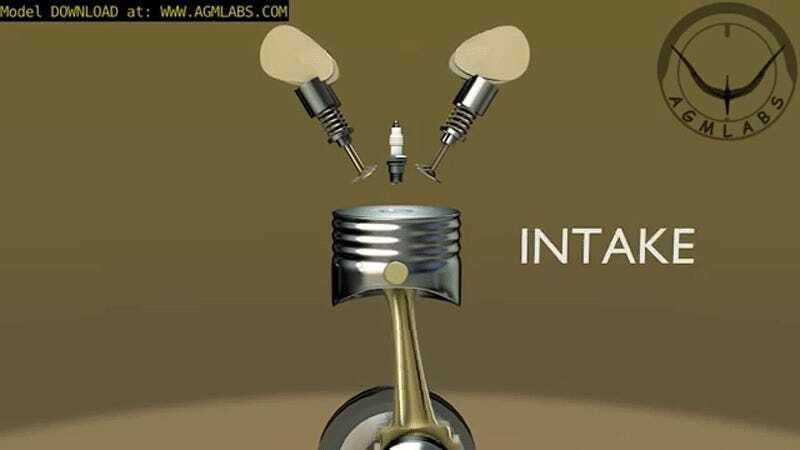 After the intake valve closes and the the piston rises up during the compression stroke, it squeezes the air and fuel mixture into the space of a single cubic centimeter. This engine has a compression ratio of 10:1. That’s it! That’s compression ratio. Total swept volume plus compressed volume (including the volume of the cylinder head and everything above where the piston “sweeps”) into compressed volume alone. But understanding what compression ratio is is less important than understanding why we care about it, or why high compression is such an aspiration. From a laymen’s perspective, engine power is generated when combustion exerts a force on the piston and pushes the piston down the cylinder during the expansion stroke. The higher the piston is in the bore when combustion begins, the more force will be exerted. Now, we really should understand more about the why in addition to the how, and that means we’re going to have to venture into the realm of thermodynamics. The basic point of this all is that a higher compression ratio means that the engine is getting more work out of the same amount of fuel. That’s good for power and also miles per gallon. To explain why a higher compression ratio yields better efficiency, we’re not going to dive too deep into thermodynamics, but what the hell, let’s just dip our tippy toes in. It’s healthy and good for the soul. The image above shows a P-V, or Pressure-Volume, diagram for an ideal and typical gasoline engine. 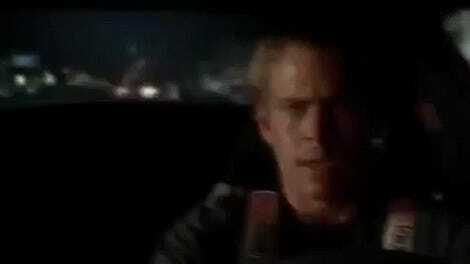 It shows, visually, what’s going on in your engine as it burns gasoline. In the diagram above, that lower 1-2 curve shows the compression stroke. The 2-3 line shows combustion. The upper 3-4 curve shows the expansion stroke. And the 4-1 line shows heat rejection when the exhaust valve opens up. To be more technical, in the diagram the 1-2 curve shows the compression stroke in which pressure (y-axis) rises and volume (x-axis) drops as the piston does work on the gas, squeezing it. The 2-3 line shows the heat released during combustion, quickly increasing the pressure and temperature of the gas. The 3-4 curve shows the volume rising and pressure dropping as the gas does work on the piston during the expansion stroke. The 4-1 line shows heat rejection from the gas to the surroundings as the pressure returns to ambient with the exhaust valve opening up. Finally the flat 1-5 line on the bottom represents the exhaust stroke and piston returning to top dead center at the end. The area within those 1-2-3-4 lines represents how much work done by the engine. Higher compression ratio means the two vertical lines on the plot will move to the left and up, leaving more area within the bounds than with a lower compression ratio, and thus work being done. But as you can see on that diagram, you would hit a higher pressure. Put another way, you’d wind up with more mechanical work from your high-compression ratio engine. You’d be getting more pressure in the cylinder and on your piston from the heat input from combustion. Anyway, the point is that thermodynamics dictates that thermal efficiency goes up with compression ratio, as you can see by that plot and equation above. And that means more horsepower, better fuel economy, heavier wallets and bigger smiles. Drive any sluggish, wheezing, gas-sucking, old low-compression American V8 and you’ll know what I mean. 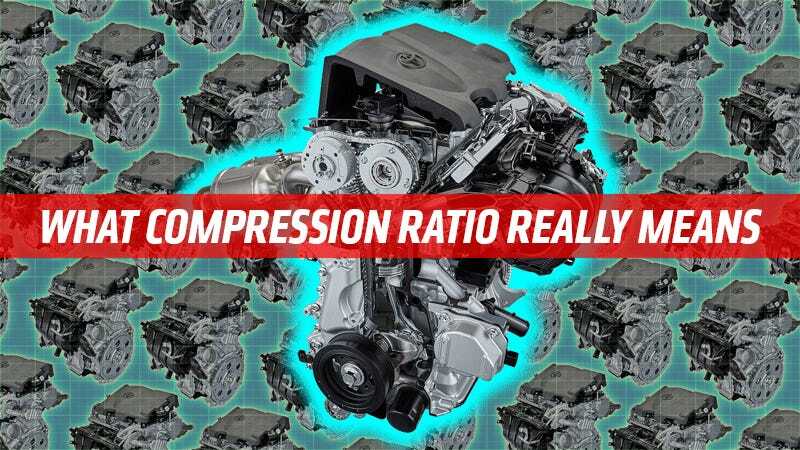 Compression ratio is also what makes engines like Mazda’s Skyactiv-G engine so efficient. The first of a wave of new high-compression and variable-compression engines from Mazda, Nissan/Infiniti and Toyota, the Mazda has the highest compression ratio in the business right now, at 14:1, which is why it can manage high fuel economy and power figures even without a turbocharger. Why doesn’t everyone just use high compression ratios? Well, high compression is why a lot of performance engines need premium fuel, or high-octane gasoline. Octane ratings are, as this How Stuff Works article points out, a measurement of the gasoline’s ability to resist detonation. Compared to gas with a high octane rating, gasoline that has a low octane rating is more likely to auto-ignite due to high air-charge temperatures and pressures. Basically, you want the gas that ignites when you want it to, not the kind that ignites when you don’t want it to. That kind of uncontrolled combustion is called knocking. Knocking is bad; it reduces torque and can cause irreparable damage to your engine. High compression increases your risk of knocking, which is why very high compression engines run high octane race gas or (more commonly now) E85. Gases tend to heat up when they’re compressed, so the increased heat density could lead to the fuel prematurely combusting before the spark plug ignites it. To reiterate: That’s bad. Mazda had to do a lot of work to its piston and exhaust design to mitigate knocking on its 14:1 engine running on pump gas. The pistons in a Skyactiv-X engine, for instance, have a cavity in the middle, to allow for Mazda to shoot a burst of rich fuel around the igniting spark plug in an otherwise lean mixture and, yeah, there’s a reason why this wasn’t an easy technology to develop. What’s also interesting is that you can’t just make an engine with as high a compression ratio as you want. I reached out to John Hoyenga, an owner at the performance exhaust and rally shop Nameless Performance, to chat about risks and benefits of high compression. I asked if this is why we don’t see people aren’t running around with engines that have significantly higher compression ratios than anything we see today. Obscenely high ratios, like 60:1. John laughed. He explained that metal simply cannot withstand such high levels of stress, and a compression ratio like that would run things so hot that it’d blow up any current engine. Of course, not all of us are building race cars with race engines, so altering compression ratios isn’t something we ever have to worry about. But we are casual car owners and quasi-engine enthusiasts, so this was an explanation for what compression ratio means and why it matters. You don’t have to fake it anymore, you now know what it is. Now, go and find that trapeze artist and tell him how you feel!